Opening of the Exhibition "Architettura Anni 30-3D", at Palazzo dell' Economia Corporativa (Pesaro). The exhibition allows to discover the architecture designed but not built of one of the most importante archietct of Marche Region, Mario Ridolfi. A personal own approach with the visual arts produces an increasing enjoyment for the users. 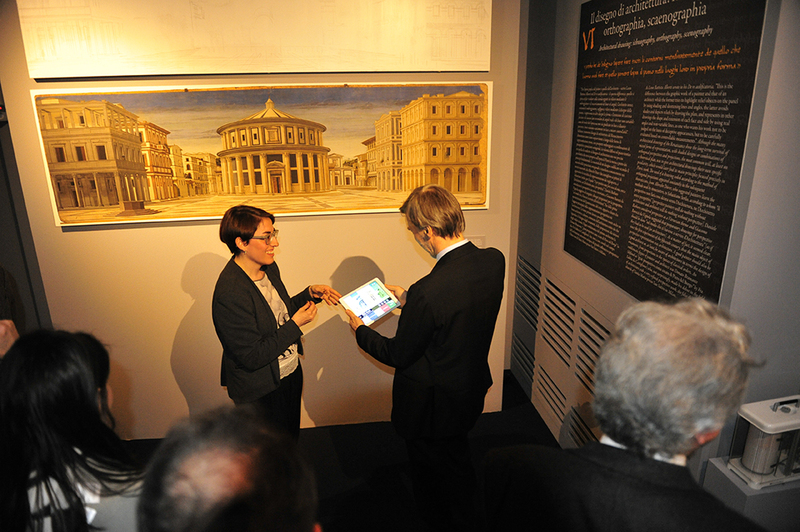 The present exhibition joins the facsimile of Urbino’s Ideal City with two different contents: on the touch screen, the high definition picture of the painting with 3X zoom while the mobile app allows connecting several notes (textual or infographics) also over the painting throughout augmented reality (AR) technologies.